These complementary components help explain why MobyMax is being used by 28 million students in 82% of schools in the U.S and is the most awarded edtech company in the world. The 2019 NAPPA awards add to the record 49 awards MobyMax received last year, including 14 Education Software Review Awards (EDDIES), the CODiE Award for Best Pre-K/Early Childhood Learning Solution in 2018, the EdTech Digest Award for Best e-learning Solution, and the 2018 Tech Edvocate Award for Best Global EdTech Company. Integrity and honesty are at the core of what NAPPA stands for. 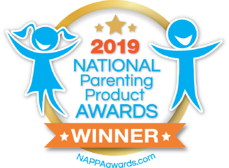 For over 29 years, the National Parenting Product Awards (NAPPA) has been ensuring that parents purchase the highest quality products that help them connect and enjoy time with their families. NAPPA’s team of evaluators, along with parent and child testers, select the best baby gear, toys, apps, games, books, music, and other family must-haves to be award winners through year-round product testing. For more information, visit NAPPA.